Not long until Christmas! As we are all in a festive mood in the Aplingo office, we thought it would be interesting to find out how other countries celebrate Christmas and New Year’s Eve. We have compiled a few surprising traditions below. In 1974, the fast food company KFC noticed that foreigners living in Japan found it hard to find turkey for Christmas. The firm had the brilliant idea to solve this issue by advising them to have something very similar instead; chicken. KFC launched its ‘Kurisumasu ni wa kentakki’ (Kentucky for Christmas) campaign, and it was a huge success not only among foreigners but also with Japanese nationals. Although Christmas is not a national holiday in Japan, a bucket of KFC Christmas chicken has become the reference food for this day, all thanks to a remarkably successful marketing campaign. 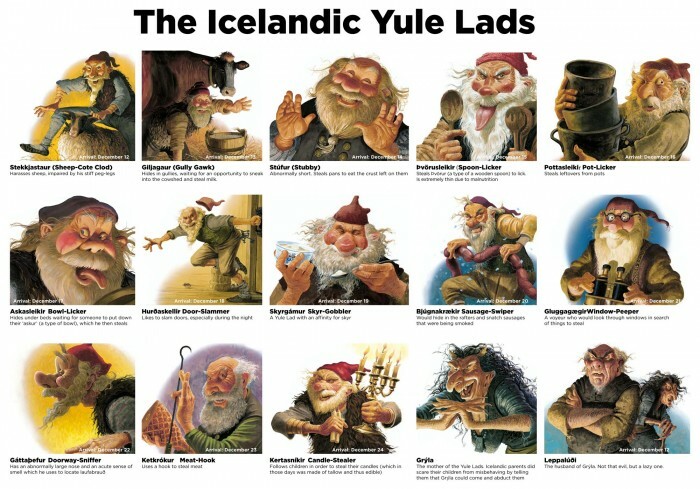 Unlike most countries which have a single Father Christmas character, Icelanders have 13 ‘Santa Clauses’ called the Yule Lads or Yulemen (jólasveinarnir or jólasveinar). Each of these mischievous and naughty jokers has a descriptive name that conveys his main character trait (for example Bjúgnakrækir the Sausage-Swiper, Gáttaþefur the Doorway-Sniffer). Every night, for thirteen days before Christmas day, Icelandic children place a shoe in the windowsill and the Yule Lads come down from the mountains one by one, bringing treats or small gifts. Children who have misbehaved traditionally received a rotting potato or nothing at all, as a punishment. In Spain, the festive season truly begins with ‘La Lotería de Navidad’, the Spanish Christmas Lottery. It has been organized every year since 1812 and is considered the biggest lottery worldwide in terms of total prize pay-out and number of participants. It is more than a simple game, it’s a Spanish institution celebrated every year on 22nd December. Unlike other games, such as the EuroMillions, participants win collectively. Because almost everyone in Spain takes part in the ‘Gordo de Navidad’ (the fat one), the ticketing system is quite complex. This article explains it nicely and gives further details about the unique draw which is specific to ‘El Gordo’. Another particular tradition for year end celebration in Spain is that, although children may receive a small gift on Christmas Eve, ‘Nochebuena’, or Christmas morning, the day for presents is January 6, the Epiphany (‘Día de los Reyes Magos’), when the Three Kings (‘Los reyes magos’) bring gifts for the well-behaved children. 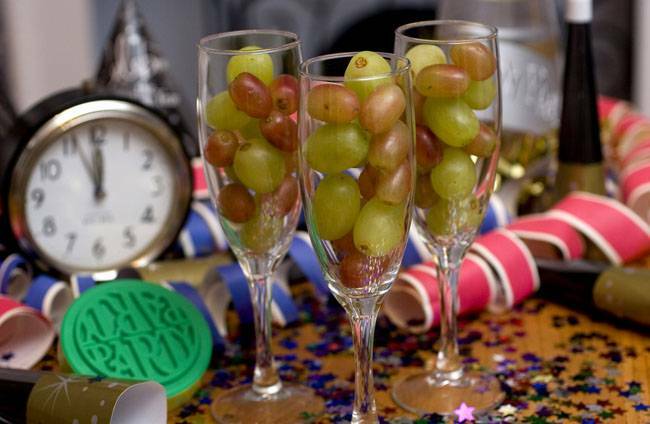 Spaniards have also been perpetuating another lovely tradition called ‘Las doce uvas de la suerte’ (the twelve grapes of luck). They eat 12 grapes, one by one, with each bell strike at midnight of December 31, ‘Nochevieja’, with their families. According to the tradition, this leads to a year of prosperity. They go by the Puerta del Sol tower clock, from where the change of year is broadcast live all around Spain. Every year at 3 o’clock on Christmas Eve, the whole of Sweden turns on their TV to watch the same program. Since 1959, ‘Kalle Anka och hans vänner önskar God Ju’ or ‘Donald Duck and his friends wish you a Merry Christmas’ has been broadcasted on Swedish public television for the enjoyment of young and old alike. Swedes take this tradition very seriously indeed and Christmas can only start earnestly after watching this Walt Disney Christmas special. Another Swedish tradition involves the Yule goat, a Scandinavian Christmas symbol. In households across Sweden, goats made of straw decorate the windowsills and guard the Christmas tree. In the past, children believed that the Christmas goat delivered their presents. Also, for the past forty years, a giant goat made of straw has been built in the city of Gävle to mark the beginning of the festive season. Unfortunately every year the giant Yule goat is a target for vandalism: it has been burned down 25 times since the first goat was erected in 1966. 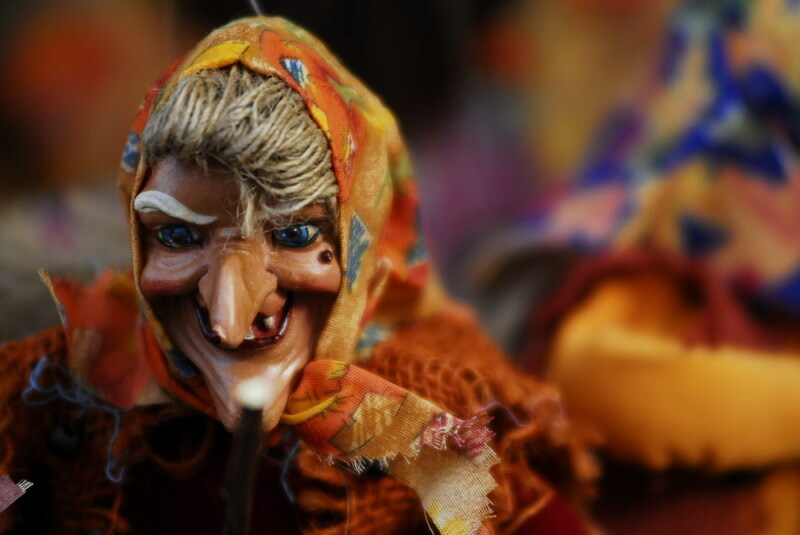 In Italian folklore, it is an old lady riding a broomstick called Befana who brings gifts to children on Epiphany Eve (January 5th). Children put stockings up by the fireplace for Befana to fill them in. On Christmas day ‘Babbo Natale‘ (Santa Claus) might bring them some small presents, but the main day for presents is on Epiphany. Italians also have a peculiar tradition on New Year’s Eve: everybody wears red underwear as it is supposed to bring luck for the New Year to come. Just after Christmas, shops supply a wide range of red underwear. The same custom exists in Spain, Turkey and Chili. We hope you enjoyed our 5-stop Christmas-around-the-world trip. Of course, these are just a few examples of the rich and diverse traditions around Christmas and the New Year. Get in touch on Twitter, Facebook and LinkedIn if you would like to share your favourite Christmas traditions! From all of us at Aplingo Translations, we wish you a very Merry Christmas and a Happy and Prosperous New Year!